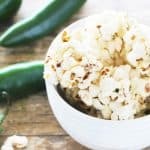 Jalapeño Popper Popcorn Balls + 29 More Popcorn Recipes! 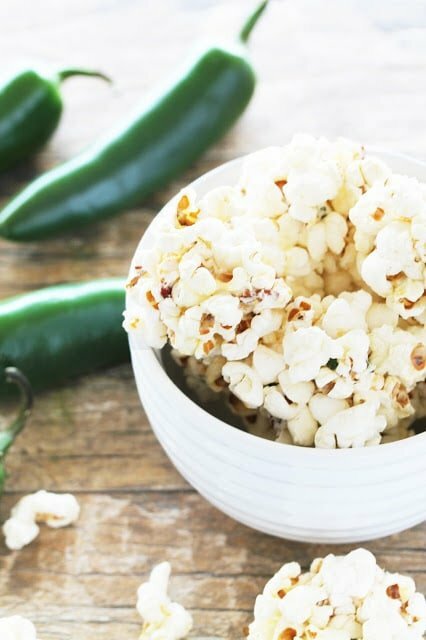 All the flavors of jalapeño poppers wrapped up in a fun and tasty popcorn ball. This is a funky, fun, flavorful treat and a great twist on your standard popcorn ball. Don’t forget to scroll down for links to more amazing popcorn recipes in celebration of National Popcorn Day! I’ve teamed up with an amazing group of bloggers to bring you 29 of our favorite popcorn recipes. Heat a large pot over medium heat. Add in the bacon and cook until bacon starts to get crispy, about 5 minutes. Add in jalapeño and cook 1 minute more. Use a slotted spoon to remove the bacon and jalapeño from the bacon grease and place in a small mixing bowl. Reserve the bacon grease in the pan for popping the popcorn. Stir jalapeño and bacon together with cream cheese and cheddar cheese. Pour popcorn kernels into pot. Cover and cook over medium heat until popcorn has pops. When popping slows down, remove popcorn from heat. Season with salt and toss with melted butter. Form small cream cheese balls, about the size of a small grape. Drop into popcorn and roll, pressing popcorn into the cream cheese to stick and form a ball. Repeat until all of the cream cheese has been used up. 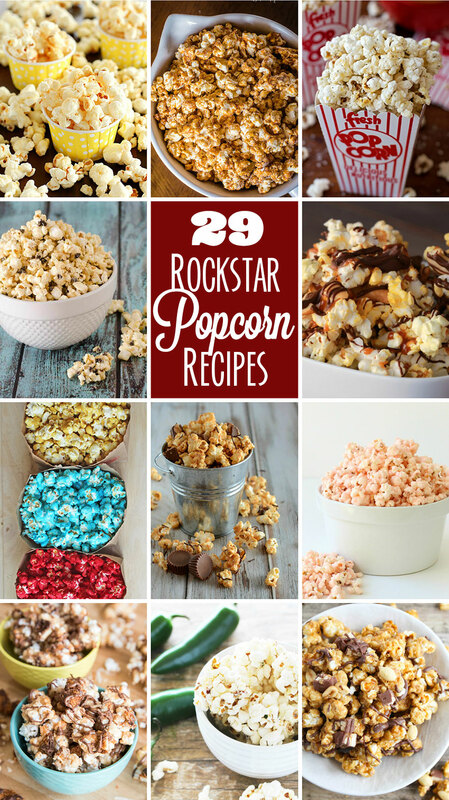 I’ve teamed up with 11 other bloggers to bring you 29 amazing popcorn recipes. Which one are you drooling over? 7. Candy Flavored Sugar Popcorn from Jamie Cooks It Up! 16. White Chocolate Popcorn from Jamie Cooks It Up! 24. Crunchy Candy Bar Popcorn from Jamie Cooks It Up! I never would have thought of making a savory popcorn ball. But with bacon, jalapeños, and cheese, these sound incredible! Mmmmm savory popcorn! looks AMAZING! This sounds so yummy! I love savory popcorn and this one sounds right up my alley!